There’s a rather adventurous clothes company in San Francisco called Betabrand. I read something about them online last year and liked their idea. They put up a photo of a new design and ask potential buyers to vote for it. If enough people do, they make it. I was feeling a bit down having been diagnosed with Pulmonary Embolism and this silly-in-a-good-way sweater appealed to me in my gloomy mood. So I voted for it and, eventually, it arrived. I then saw another wacky idea from them and thought these people are fun. They started to ask customers to send it photographs of themselves, preferably silly ones, wearing their products and then they published them on their website. Suddenly, a whole load of us, enjoying their sense of the ridiculous, sent in photos like this one I took (above). 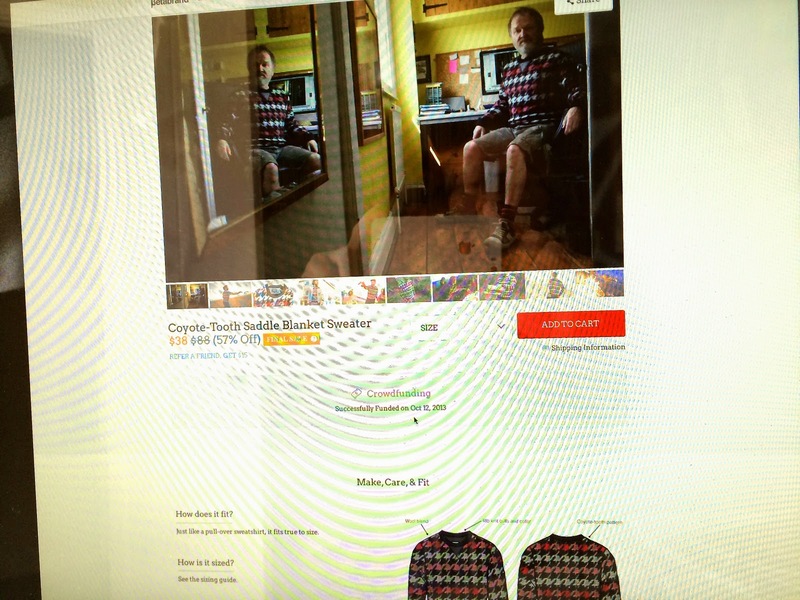 It was hilarious, some time later, to see myself on their website modeling their Coyote Tooth Saddle Blanket Sweater. A star was born – well, almost. Last summer I bought another product from them, a zanily colourful pair of swimming shorts to take on holiday with me to the Venetian Lido. Well, I sent Betabrand another photo – this time me doing my Taichi in my new shorts on the beach in Italy. Weirdly they got in touch – they’d tracked me down on my blog – you have to admire these guys, and asked if I’d do an article for them about my holiday so that they could include the photos of me in their gear. 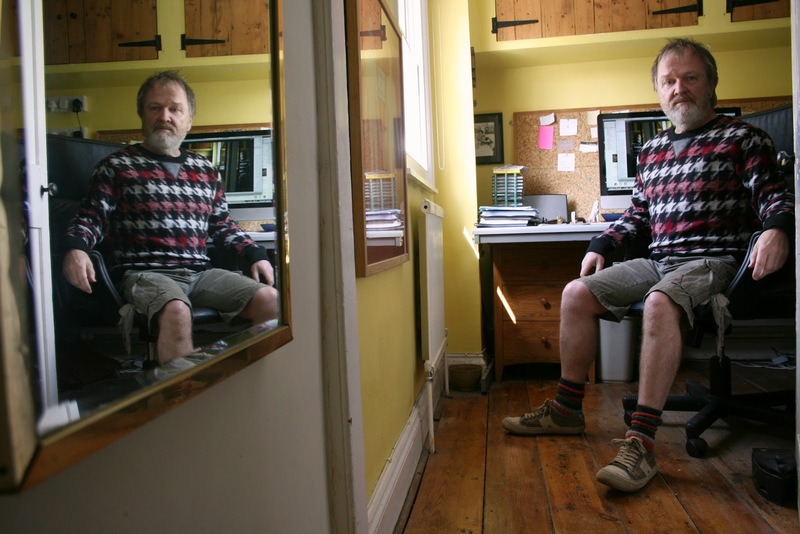 I did the piece and sent it to them and then they, well a highly enthusiastic man called Robbie Wiedie, asked for a video of me reading one of my poems – well, they were pretty persuasive and, this is the result. 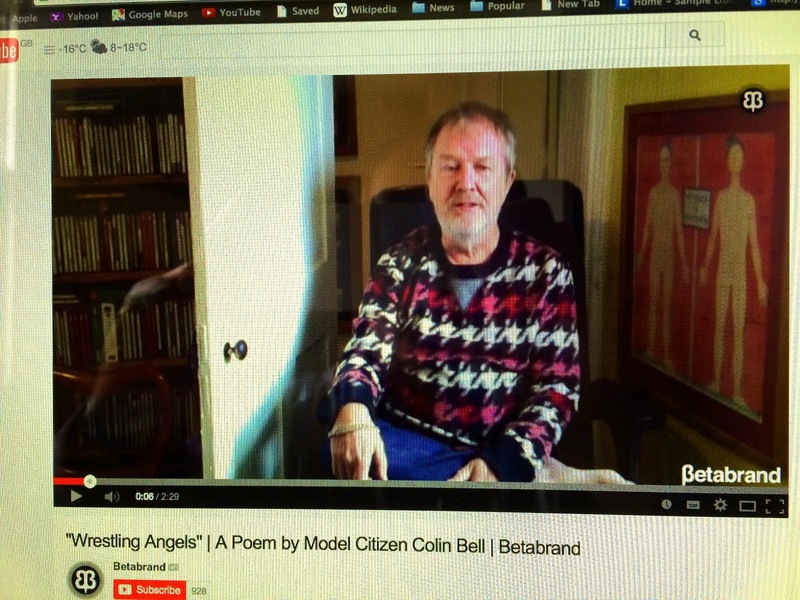 The piece I wrote is published on their webpage as Colin Bell’s Dispatches From Venice and the link is below the recording I made of my poem Wrestling Angels. Oh yes, by the way, my Pulmonary Embolism has nearly gone but this little detour into my modelling career definitely cheered me up. Great poem and sweater! Your adventures are too entertaining. Looking forward to the next novel(s). Is there perhaps a collection of poems in the not too distant future as well? 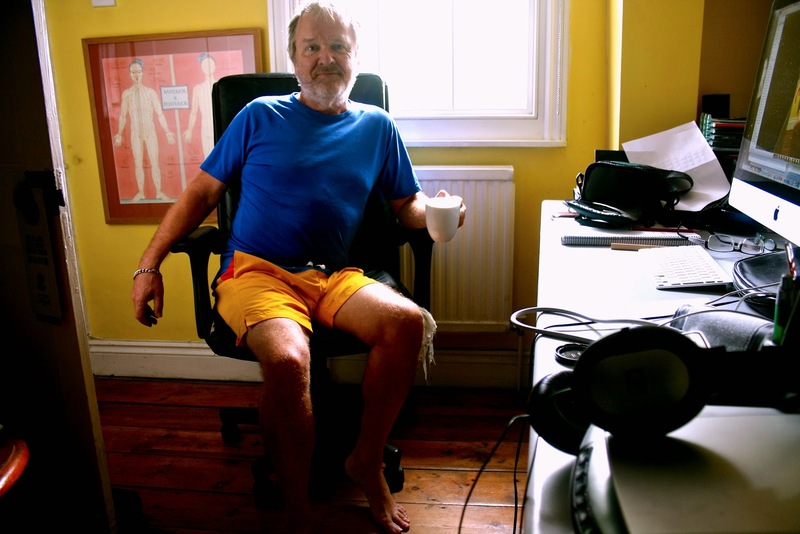 Thanks Brian – the new novel will be out next year and I'm hoping to get a poetry collection out some time then too. Fingers crossed.